Get the best out of your wi-fi access point and router by choosing the right place in your home. Place your wi-fi access point or router in a central location in the middle of your home rather than at one end. Solid surfaces slow down wi-fi speeds and a central location reduces the number of walls it has to go through. The thicker the wall, the harder it is for the wi-fi signal to pass through. Hiding away the router in a corner may not be a good choice. Don’t put it on the floor. Try and position it on a shelf, cupboard or table. Do not put it in a cupboard or closet, which will reduce the wi-fi signal speed and distance. Wi-fi signals go down as well as up, so if you put it on the floor, a proportion of the signal will go through the floorboards. Compare the signal performance with a light bulb. Mounting the light on the ceiling shines better. Keep your wi-fi access point or router away from material that can reflect the signal and dispersing it: metal objects like a TV, mirrors and glassware. 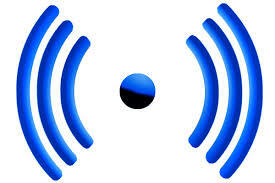 Water can absorb the wi-fi signal, so it reduces the travel distance of the signal. Also micro-waves may interfere with the wi-fi signal. Finally, test your wi-fi signal before you settle with the location of your access point or router. Connect as many devices as possible from the different and the most used locations in your home. Use streaming services to see if your signal is stable. If you have portable devices, like tablets and smartphones, walk around your home to detect the ‘weak’ spots. The position of the antenna(s) or the position of the router itself (if no external antenna is available) will also influence the performance.